Today KrisMa AB develop and operates within a field that offers products, technical solutions and systemsfor the marine industry and to power plant diesel engines. We always strive to give our customers comfort and safety in a broad context, when they invest in our machines and tools and when they use our application services. Chris-Marine is the major international specialist in supplying high quality maintenance machines and methods for diesel engines. Chris-Marine works closely with all major international engine builders in the development of working methods for the maintenance for slow speed and medium speed engines. Our main product areas are grinding, milling, lathing, honing, cutting and measuring machines. You can find Chris-Marine equipment on ships, workshops and industries around the world. IOP Marine - Obel-P Products is the manufacturer of hand- and airpowered fuel-injector test rigs & Hydraulic PowerPacks for maintenance of 2- and 4-stroke engines from MAN Diesel Wärtsilä), Rolls Royce, MaK, Deutz, Caterpillar & others. 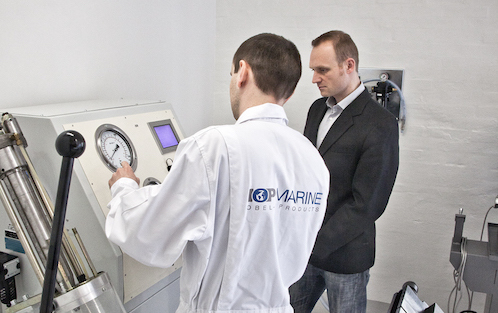 Our solutions are continuously developed in cooperation with engine makers, ship owners power-plants and workshops.